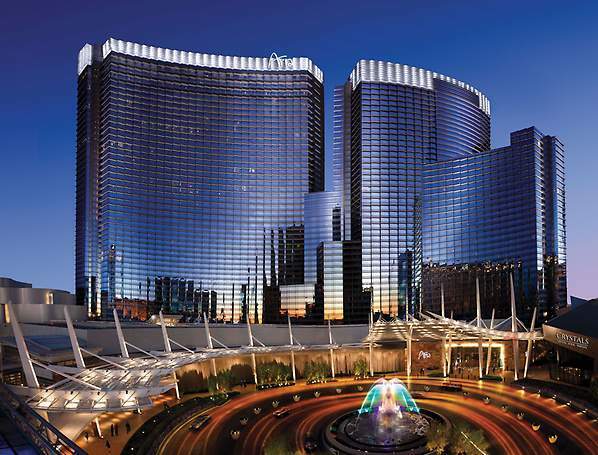 The Aria Hotel Las Vegas is located within CityCenter on the Strip. This upscale and elegant resort was constructed in 2009 with luxury in mind and you will pay a premium for the extra amenities. The resort has a contemporary upscale décor that is accented by lots of contemporary art pieces. There are plenty of room and suite selections that include big views, great amenities as well as using premier technology to enhance your stay. If you choose to go large, try the Sky Suites that include the exclusive Sky Pool and Sky Lounge as well as an incredible VIP experience. The pool area offers three ellipse shaped pools that are lush with green plants and there is even the Liquid Lounge a 21 year or older pool venue. The dining is succulent with such chefs as Masa Takayama, Shawn McClain and Julian Serrano serving some of the finest cuisine in Las Vegas. 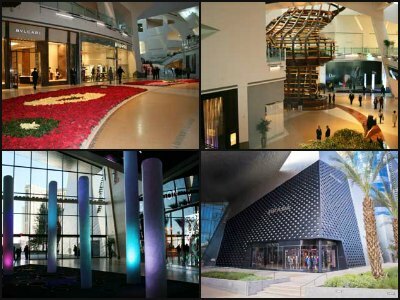 There is great luxury brand shopping at the Shops at Crystal and Zarkan presented by Cirque du Soleil will keep you on the edge of seat. The Aria Hotel Las Vegas has a wide variety of rooms that offer stunning views and a contemporary feel. This 4,000 plus room and 400 plus suite resort has a fresh attitude and being only six years old the interior is trendy, yet elegant. The Deluxe Rooms are quite large at 520 square feet. These rooms have a great layout featuring an interactive entertainment center, sitting area, a dressing area with dual closets, a mini-bar and there is a dual sink vanity, a separate shower as well as a soaking tub in the bathroom. The Deluxe Room Strip View is similar and offers a wonderful view of the Strip. There are six different suites you can choose from that range in size from 920 to 2,000 square feet. The smallest of these suites is a Corner Suite that features floor to ceiling windows, an open space that contains a living room, a dining area, a mini-bar and a half bathroom. The bedroom has a work desk area with a large master bathroom that includes a dual sink vanity, separate shower and soaking tub. The Crystal Suite is slightly larger at 1,000 square feet. This suite has a larger living room, an interactive entertainment center, a work desk area but no dining area. The bedroom has a king size bed with a master bathroom that has a make-up area, wardrobe closet, dual sink vanity, separate shower and a large soaking tub. The Center Suite has a similar floorplan as the Crystals Suite with the addition of a small sitting are with chairs next to the soaking tub in the master bathroom. The Cirrus Suite has 1,500 square feet of luxury. The separate living room includes an interactive entertainment center, a work desk area and a half bathroom. There is a separate dining room with a wet bar/small kitchen area. The master bedroom includes a sitting area, wardrobe closet and a master bathroom that includes an oversized shower, dual sink vanity as well as a soaking tub. The Tower Suite is 1,000 square feet with plenty of interesting use of space. The separate living room has a wet bar, an interactive entertainment center, a work desk area, a small dining table and a half a bathroom. The master bedroom has a sitting area and the master bathroom has an oversized walk-in shower, a large soaking tub centered between a wardrobe closet and the dual vanity sinks. The Hospitality Suite is 2,000 square feet of pure entertaining space with a large living area that contains a wet bar, a sink as well as a half bathroom. There is also a large conference room that can be used for meetings or for partying. The master bedroom has a small sitting area and the master bathroom contains a soaking tub, shower and a dual vanity sink. Sky Suites at the Aria Hotel Las Vegas boasts VIP services and accommodations ranging in size from the one bedroom Aria Suite of 1,000 square feet to a whopping 7,000 square foot villa. These suites are luxury at its finest and you also are invited to the exclusive Sky Pool as well as the Sky Lounge for the ultimate in VIP amenities. The Aria Suite with two bedrooms is 1,630 square feet in size with several different floorplans available. These suites have great space appeal with high ceilings, an additional half bath, ample living area, a second bedroom with attached bathroom and a master bedroom with a sitting area as well as an oversized shower with a separate soaking tub. The one bedroom Penthouse Suite is 1,465 square feet with a grand view and additional amenities in several unique floorplans. The two bedroom Penthouse Suite is 2,060 square feet of ceiling to floor windows, a living room, a work area with desk, a dining room and a wet bar. These beautiful features are flanked by two identical bedrooms with large master bathrooms. Sky Villas at the Aria Resort vary in décor, design and size. These villas range in size from 2,000 to 7,000 square feet usually with two floors of spacious area. The Aria Hotel Las Vegas boasts fifteen bars and lounges to enjoy your favorite cocktails while relaxing or watching the action. Six of these bars are open 24 hours a day on the main casino level and each offer a different vibe as well as posh decor. The Alibi Cocktail Lounge is the perfect place for a quiet drink with friends; The Lift Bar has a special purple drink menu; the High Limit Bar is a sleek trendy bar of high stake cocktails and games; the Gem Bar is located in the center of the high energy casino; the Lobby Bar is the perfect place for a signature cocktail after a day shopping around the CityCenter and the Sports Bar will have craft beer and all the big sporting events on television. 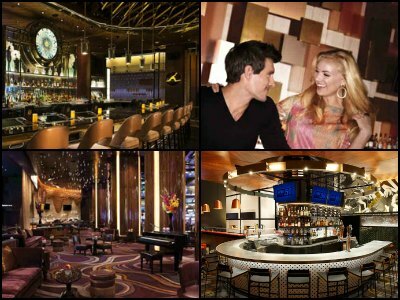 You can also enjoy a signature cocktail at one of the many fine restaurants located throughout the Aria Resort. Currently there is not a nightclub within the Aria Resort until Jewel Nightclub opens in the spring of 2016. The casino at the Aria Hotel Las Vegas is state-of-the-art with all the new trends in slot machines and video poker games. 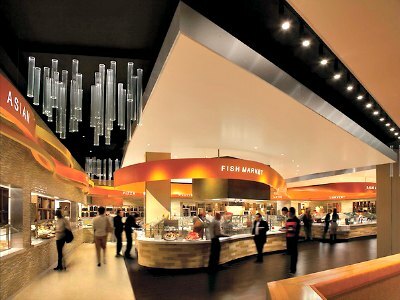 The casino has an exciting feel because of sleek urban interior that is adorned with tasteful lighting. This 150,000 square foot area is full of blackjack, baccarat, three card, Texas Hold’em and pai gow poker tables besides your favorites like craps and European roulette. 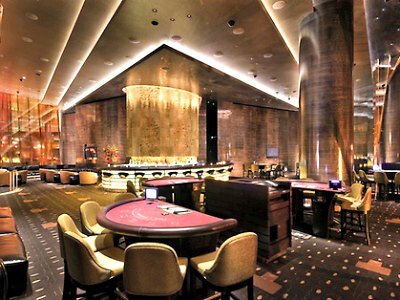 There is also a high limit area with a lounge that offers high stakes games and signature cocktails. The Aria casino include a 100 seat race and sports book that is luxurious with lots of overstuffed chairs, sofas and 90 plus televisions. 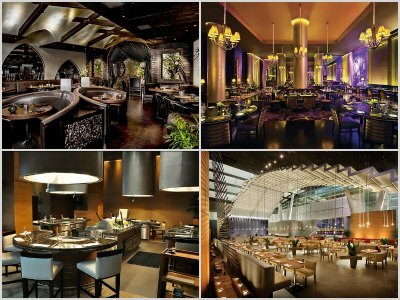 The dining within the Aria Hotel Las Vegas is unique, trendy and has an attitude of different flavors. There are simple places like Starbucks, The Roasted Bean, the Breeze Cafe and the Pressed Juicery for a quick sandwich or beverage. The Aria Hotel Las Vegas Café has a menu that is filled with diner classics and more; Chef Masa Takayama presents Tetsu which features Teppan grill specialties and the barMasa boasts innovative sushi as well as a sake sommelier; Javiers has a wide variety of tequila to make that perfect hand shaken margarita; the Sage has over ten different absinthe brands and farm-to-table dining created by Chef Shawn McClain; stop by Julian Serrano for a new or old twist on Sangria paired with a small selection of tapas; the Herringbone features Brian Malarkey’s ocean-to-table cuisine; Bardot Brasserie has delightful French inspired cuisine by Michael Mina; Carbone is an interesting concept that celebrates New York style Italian dishes; Jean Georges dishes up steaks and seafood with various Asian inspired rubs and sauces; you can find traditional Thai dishes at the Lemongrass; the Blossom brings outstanding Chinese cuisine in an Asian décor and when you are ready for that special pastry or dessert try Jean Philippe Patisserie. The Buffet at the Aria Hotel Las Vegas is a spectacular looking facility that is new age in design with exciting ideas about cuisine. There are several unique stations in this dining area that feature food from around the world such as India, Latin America, Mediterranean, Asia and Italy. The space also features such standouts at night as prime rib, fresh fish, pizza, salad, comfort foods and made to order omelets in the morning. The dessert area is loaded with innovative sweet ideas that leave you more than satisfied. The space is converted three times a day for a different dining theme at breakfast, lunch and dinner. There is also a weekend brunch full of interesting cuisine and you can add a never ending glass of champagne too. The Aria Hotel Las Vegas has the only ellipse shaped pools in Las Vegas. There is plenty of deck space for you to choose the perfect place to frolic in the sun. There are cabanas for rent and there are also great food and beverage options at either the Breeze Café or the Pool Bar. For patrons staying in a Sky Suite there is the exclusive Sky Pool for your enjoyment that includes all of the personalized services you would expect. 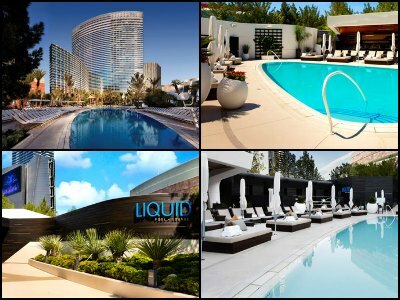 For people over the age of 21 years old there is the Liquid Pool Club that features DJ’s, daybeds, cabanas and an adult attitude. The VIP services available at both the Sky Pool and Liquid Lounge are some of the best in Sin City. One of the most fascinating free attractions in Las Vegas is located on and around the Aria Hotel Las Vegas. The CityCenter Fine Arts Collection is the largest privately owned public art collection on exhibit in the world. The overall number of art pieces is staggering and are the artistic creations of well-known artists such as Henry Moore, Claes Olderburg, Maya Lin and Jenny Holzer. 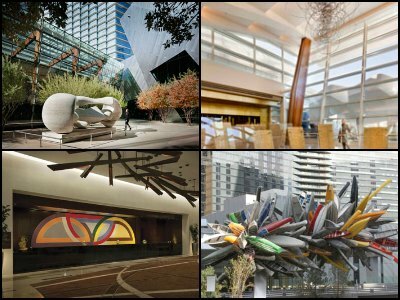 As you walk through the Aria lobby, hallways, casino and CityCenter, you will notice that each piece of art is expertly exhibited in way that compliments the artistic creation as well as the overall sleek theme of the resort. 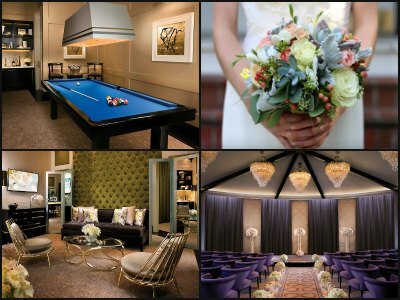 The Aria Hotel Las Vegas has perfect facilities to make every wedding a special event that will leave lasting memories. The resort has many locations within the property such as the Fireside Lounge, one of the fabulous pools, the Gallery featuring Dale Chihuly and an on-site chapel. The Aria has expert wedding planners that will help you decide on the intricate parts that will make the day one-of-a-kind. There are packages that can accommodate groups of any size with varying decorating and catering options. 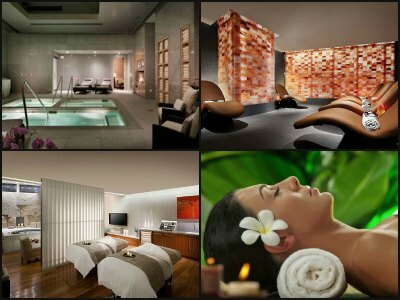 The Aria Hotel Las Vegas Spa and Salon is an 80,000 square foot area of happiness. Located on two floors, the interior décor is unique with stunning features like marble walls, hard wood floors, luxurious furnishings, heated Japanese stone beds and soothing water fountains. The spa has a great mixture of different treatments a person can mix and match. The Therapy Pool is an infinite edge pool that overlooks the main pool area and is co-ed. There are private spa suites that provide the best in VIP service and amenities for a group of up to four people. The Shio Salt Room offers a unique respiratory treatment that is created by the breath taking walls made of intricate bricks of Shio salt that glow in soft lighting. Shopping at the Aria Hotel Las Vegas has two phases with one being the shops inside the property and the shops associated with the Shops at Crystals. The resort has several trendy stores that offer artistic items like landscape photography by Rodney Lough Jr. to bronze sculptures by The Art of Richard MacDonald to hand blown glass art by Dale Chihuly. Men’s clothing and accessories can be found at Aria’s Men with women’s fashion at Terrene; fine jewelry and watches can be found at either Hour Passion or the Radiance; Zarkana by Cirque du Soleil has a store for all your souvenirs and there are two shops that sell daily essential items as well as souvenirs. The Shops at Crystals are a collection of 44 stores that define luxury in Las Vegas and around the world. This is a dream landscape for people looking for quality merchandise from vendors like Gucci, Prada, Cartier and Versace. The Tom Ford store is a favorite for men as well as watches from TAG Heuer and don’t forget your cologne by Porsche Design. Women will love the shoes at Jimmy Choo and the clothing at Donna Karan as well as purses from Louis Vuitton. There are many shops like Dolce and Gabbanna, Dior, Paul Smith and fine lingerie at Kiki de Montparnasse as well as a Tiffany and Company for that special memory.